Customer support is one of the most essential parts of the business operations and businesses all over the world are trying to discover better customer service tools so they can provide a better customer experience and improve the quality of their services. Regardless of what kind of services you provide, your customers always want you to respond fast and resolve their issues. In most of the cases, errors occur because of the human error on customer side and in some rare cases, it is because of the bugs in your systems. Unfortunately, customers do not distinguish between these and they want you to address the issue as soon as possible. Customer service tools usually come with live chat, email, tickets and social communication features. 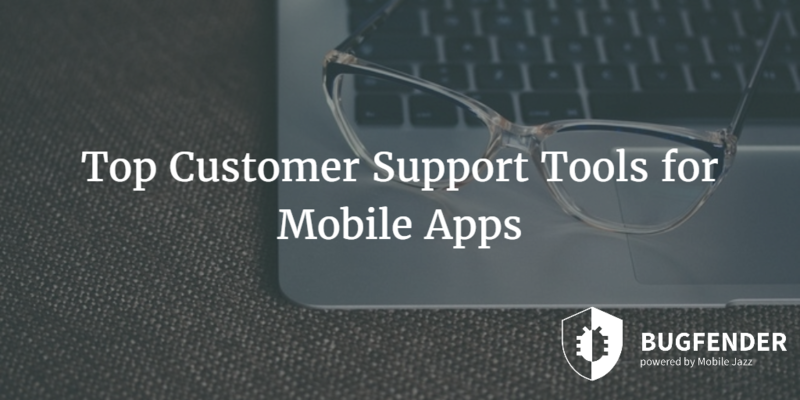 Following is a list of some most popular customer support tools for mobile apps. Zendesk is one of the most popular customer support tools for mobile app and thousands of businesses all over the globe use it to provide a better customer experience. The best thing about Zendesk is its ability to solve slow response time issue. This tool can transfer calls to mobile and provides 24/7 customer portal so customers can get instant response from the customer agents. No wonder, Zendesk can increase the customer satisfaction rate dramatically. Some of the key features of Zendesk are its integration with custom apps and tools, and Zendesk Benchmark for thorough comparison. Zendesk agents can create new tickets and update existing tickets on the fly. It is available for $1 per agent per month as starter plan, $25, $59, $125 and $195 as regular, plus, enterprise and enterprise elite plans. UserVoice support mobile apps as well as web apps to improve the quality of business operations. It provides customer engagement opportunities with its in-app features and support systems. The main idea behind UserVoice is to provide customer support with multiple different channels. This support tool is mainly popular because of its easy to use ticket management system and instant customer identification feature. With customized email responses, businesses can make customers feel taken care of. UserVoice customer support tool is available for $45 per agent with enhanced package and $85 per agent with pro package if billed annually. Both of these packages have many common features like instant answers, image uploads, custom rules, inspector, custom field, support queues and analytics. The pro package has some advanced features like customized look and ToS. HipMob is specifically developed for integrated live chat for mobile apps and websites. It helps sales team to increase the conversion rate by engaging with customers. It also helps support teams to deliver improved customer experience by providing instant solutions. Basically, HipMob offers three packages which are solo, team and corporate. There are two additional packages; free and enterprise. The free package is very limited in terms of features yet it provides the basic functionality of the service. The enterprise package is highly customizable and its price depends on the features you want. Solo, team and corporate packages are available for $10, $29 and $79 per month respectively. Instabug is a well known tool developed to help businesses communicate with their users, testers and teams. With Instabug mobile app, users don’t have to leave the app to use another app for communication as Instabug app itself provides such features. Instabug offers five different packages which come with different features and price tag. The free package comes with in-app feedback, bulk actions, uploading screenshots, app modes and saves filters. The bronze package is available for $49 per month and comes with free features, basic integration, automated riles and crash reporting. Silver package costs $149 per month and comes with bronze features, full integration, premium analytics and conversations. Gold package has $349 per month price tag and it comes with silver features, custom integration, API access and customization. For enterprise package, you need to contact them for quote. Desk is a well known customer support tool which is also known by its former name Assistly. It is mainly popular because of features like self service portal, customer profiling, productivity features and enhanced integration features with 3rd party tools and applications. Desk offers three different packages with are standard, pro and business plus. These packages are available for $20, $60 and $100 per month respectively. Standard package comes with multi channel support, productivity tools, easy integration and knowledgebase. Pro and business plus packages come with advanced features like health monitor, reporting and analytics. HappyFox provides a fully functional suite and customer support platform where users can use the ticketing system and agents can create and update tickets to improve the overall customer experience. One of the best things about HappyFox is its support for 35 languages that makes it easier for businesses to improve the quality of their services. Some other features are full integration, invisibility, customization and state-of-the-art portal. HappyFox offers four different packages with different features; these are popular, mighty, fantastic and enterprise, and available for $19, $29, $49 and $69 per staff per month respectively. The enterprise package is fully customizable while all other three packages come with features like cloud storage, import contact and macros. Mighty and fantastic features come with SLA management, contact group and time tracker. The fantastic package comes with some additional features like satisfaction survey, SLA breach notification and others. How Bugfender Helps Developers Improve the Customer Experience? 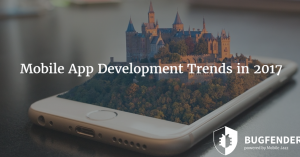 No doubt developers want to deliver flawless apps to their users but due to technological advancements and some other reasons like device fragmentation, it has become extremely difficult to test apps on real devices. A minor bug in the app can destroy the reputation of a developer or company; that’s why as a developer it should be your top priority to discover bugs before your users do – even after releasing. Bugfender provides real time logs and insights of the performance of the app on real devices. 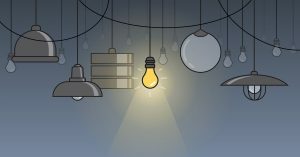 It means developers can see the logs of their apps remotely while sitting thousands of miles away from the devices in which they are being used. Bugfender is more than a simple crash reporting tool as not all bugs result in a crash or total failure. 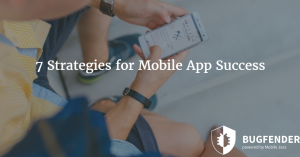 Some lead to abnormal app behavior, instability and security vulnerabilities. as_disney Created with Sketch. as_volkswagen Created with Sketch. as_slack Created with Sketch. as_eye-d Created with Sketch. as_aimail Created with Sketch. as_vorwerk Created with Sketch. as_tesco Created with Sketch.